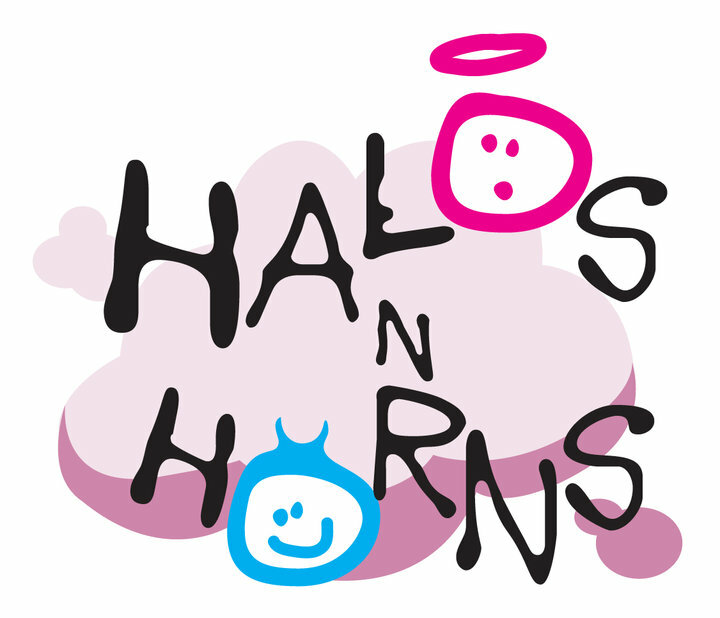 For those who haven't heard of Halos N Horns, it is a range of lovely fruity smelling bathtime products for kids without any nasty unwanted ingredients. The brand was created by a mum whose child had ezcema and would suffer with bad reactions to normal skin products meaning she had to buy expensive alternatives. 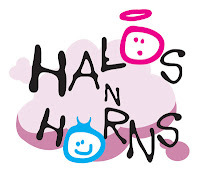 Now Halos N Horns can be found in most high street retailers at an affordable price for struggling parents. Gracie has always had sensitive skin and Zach's is even worse so I'm always looking for products that will help. 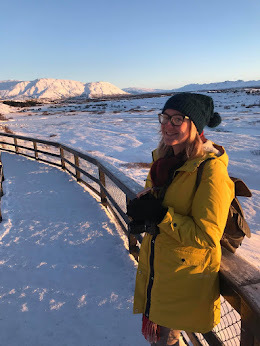 I have tried a few of the Halos N Horns products now and have been amazed at how good they smell considering they are full of friendly ingredients. I've always struggled to find a bubble bath that doesn't irritate the kids' skin but the Halos N Horns baby bath couldn't be more perfect! I was recently sent the Halos N Horns moisturising lotion and the 'toothy fruity' toothpaste to review. 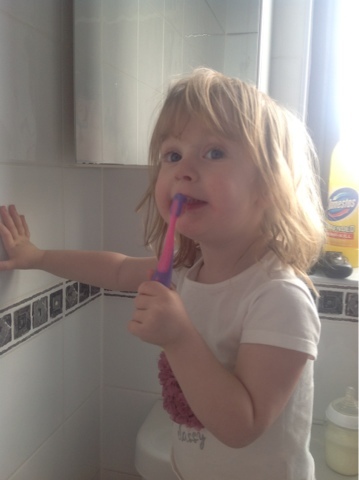 Up until recently getting Gracie to brush her teeth was a daily battle but all of a sudden she loves brushing her teeth so when her 'toothy fruity' toothpaste arrived she was even more excited about brushing her teeth. The toothpaste is pink in colour and smells and tastes like strawberry and banana. Gracie said it tasted 'yummy' which is always good to encourage brushing! I did have to explain to her she was suppose to just brush her teeth and not eat it the first few times though! The moisturising lotion is non greasy and made with naturally derived moisturisers plus Vitamin E and sunflower oil to leave babys skin feeling soft. Both Gracie & Zach tend to get a lot of dry skin especially on their legs and back. I've been using the moisturising lotion after their baths on their dry areas and not only does it make their skin lovely and soft but it also smells gorgeous! Even my hands smelt great afterwards. I have actually been using it on myself too and I'm so impressed that I'm planning on buying more products from their range to try. As well as the two products we were sent the Halos N Horns 'Little Book of Holiday Fun' which is a free book available from Halos N Horns. You can request a copy by post or download a copy from their website. The book contains games, activities and tips for good old fashioned fun including; bath time fun, creative fun,surviving car journeys, beach activities and many more!It's a fab little book with lots of fun ideas we can't wait to try! I was sent the Halos N Horns toothpaste and moisturising lotion free of charge for the purpose of this review but all opinions are my own.